Shavua tov! Looking forward to Shabbat Va’etchanan. And here’s the URJ’s compilation of commentaries on this week’s Torah portion: Va-etchanan | URJ. This coming Shabbat morning, services will be led by Rabbi Dennis Ross. On Thurs., August 13th at 7:00 pm, Rabbi David Zaslow and Debra Zaslow will speak about their recently published books at Congregation Beth Israel. The event is co-sponsored by All Saints Episcopal Church and Congregation Beth Israel. The talk is free and open to the public. 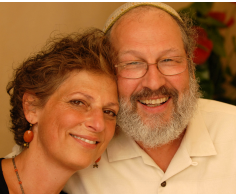 Both Rabbi David Zaslow and Debra Zaslow are gifted speakers, known for their ability to inspire and entertain, and both are longtime participants in Jewish Renewal, the trans-denominational movement to revitalize Judaism within which Rabbi Rachel was ordained. Rabbi David Zaslow is the author of Jesus: First Century Rabbi and Debra Gordon Zaslow is the author of Bringing Bubbe Home, A Memoir of Letting Go Through Love and Death. In Bringing Bubbe Home Debra Zaslow writes candidly about the life-changing experience of bringing her 103 year-old grandmother into her home during her final months of life. The narrative of their time together in Bubbe’s last months is mingled with scenes from the past that reveal how her grandmother’s stories of abuse, tenacity and survival have played out through the generations of women in the family. Debra watches her expectations of a perfect death dissolve in the midst of queen-size diapers, hormonal teenagers and volatile caregivers, while the two women sit soul-to-soul in moments of stark tenderness. 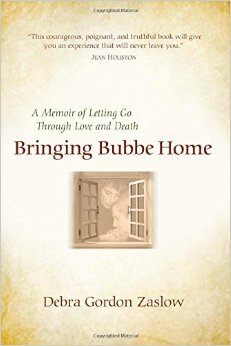 This honest and powerful literary memoir illustrates the choice to bring death into the home with family, caregivers, hospice, and all the ramifications. Zaslow offers keen insights into the process of being with a dying person on their own terms, while meeting the needs of family at the same time. 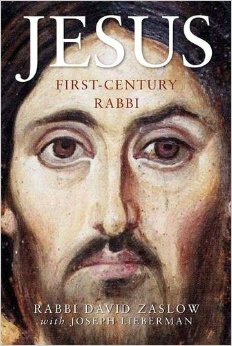 Jesus: First Century Rabbi takes a bold, fresh look at the historical Jesus and the Jewish roots of Christianity while challenging both Jews and Christians to re-examine their understanding of Jesus’ firm commitment to his Jewish faith. Instead of emphasizing the differences between the two religions, this groundbreaking text explains how the concepts of vicarious atonement, mediation, incarnation, and Trinity are actually rooted in classical Judaism. Using the cutting edge of scholarly research, Rabbi Zaslow dispels the myths of disparity between Christianity and Judaism without diluting the unique features of each faith. Rabbi David Zaslow, M.S., is the spiritual leader of Havurah Shir Hadash, a synagogue in Ashland, Oregon. He is the editor of the best selling Hebrew/English prayer book for spiritual Renewal, Ivdu et Hashem B’simcha – Serve the Holy One With Joy. He travels the country leading workshops for churches and synagogues on the Jewish roots of Christianity. He is also a guitar player, poet, author, and lecturer who has been interviewed on national TV and radio. He is also the author of numerous poetry books for children and adults. Following the author presentations there will be time for Q and A and book-signing. Bringing Bubbe Home is published by White Cloud Press; Jesus: First Century Rabbi is published by Paraclete Press. Both books are available through Barnes and Noble, Amazon.com or from local independent booksellers — and will be available for sale at the event at CBI as well. More information on Rabbi David Zaslow can be found at his website: , and you can get a glimpse of him on YouTube here. More information on Debra Gordon Zaslow can be found at her website, and you can get a glimpse of her on YouTube here. We hope you’ll save the date and plan to join us! A $10 donation is requested from those who feel able to contribute. And here’s the URJ’s compilation of commentaries on this week’s Torah portion: Dvarim | URJ. This coming Shabbat morning, services will be led by Rabbi Pam Wax. Tisha B’Av is commemorated as a day of mourning for the destruction of both the first and second Temples, as well as other tragedies befalling the Jewish community. Kindly RSVP to the office by noon on Thursday, July 23 if you plan to attend, so that we can plan for seating and xeroxing needs. All are welcome. Shavua tov; looking forward to Shabbat Matot-Masei! And here’s the URJ’s compilation of commentaries on this week’s Torah portion: Matot and Masei, URJ. And here’s the URJ’s compilation of commentaries on this week’s Torah portion: Pinchas | URJ. This coming Shabbat morning, services will be led by Rabbi Rachel Barenblat. All are welcome and encouraged to join us as we celebrate not only Shabbat but also the joy of calling Molly Howard to the Torah as a bat mitzvah.